In today’s world, the average business will face five lawsuits over the course of their life. There’s no question asset protection and lawsuit prevention are necessities for all practices and business owners. In a world where initial asset protection consultations can cost anywhere from $35,000 to $50,000 (and above), Legally Mine offers affordable, comprehensive asset protection for businesses of all shapes and sizes. Legally Mine has quickly become one of the largest, most respected lawsuit protection companies in the United States. 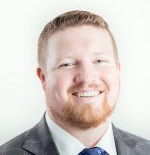 We recently sat down with Legally Mine President Ammon McNeff to learn more about their explosive growth and how Chargify has helped them corner a specialty market by building lasting relationships with their customers. Asset protection as a viable legal field has been around since the 1960’s, but due to prohibitive costs, has historically been an avenue only available to the wealthiest 1%. 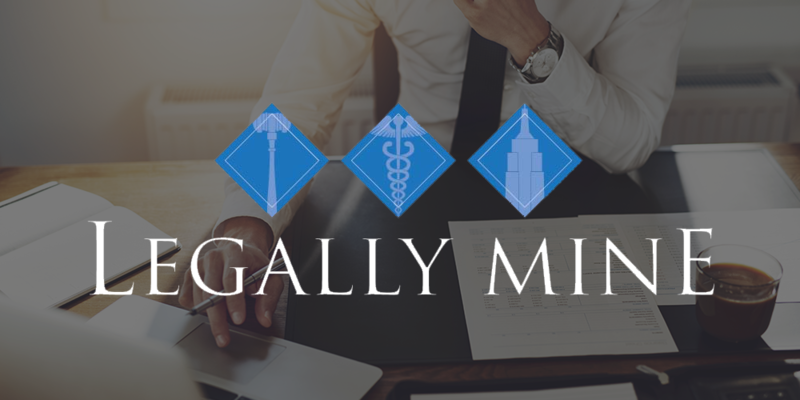 With limited options and high costs as a barrier to entry, Legally Mine’s unique business model has made asset protection affordable and available to a larger community of business owners and those in the healthcare industry. Many customers start with the company’s consulting package, which provides access to Legally Mine’s attorneys who provide personalized knowledge as to the best asset protection structures for clients’ circumstances, situation, and geographic location (laws can vary from state to state). The consulting package starts by laying out a customized asset protection structure, tax saving strategies, and estate planning. The subscription includes the ongoing management of the client’s entities. Ongoing management helps ensure meeting minutes are filled out each year and corporate entities are filed annually to prevent lapses. Outside of the consulting package, customers can purchase access to Legally Mine’s large library of legal resources. The purchase includes lifetime access to all of the specialized legal documents specifically used for asset protection. Customers have the option to take the legal documents to their own attorney or Legally Mine has in-house attorneys who will create the structures outlined in the documents “at no additional cost because they have purchased that lifetime entity creation” which comes along with the document library access, explains McNeff. As with any innovative business, Legally Mine encountered obstacles they had to overcome as they scaled. In 2013 Legally Mine introduced the consultation package in its current form. Initially, they were manually processing recurring payments through their payment gateway because it was what they knew and had access to at the time. “But after several months, we realized very quickly that was getting out of control because of how many people were signing up for our program and services and how we were growing,” says McNeff. Not only was attempting to bill subscriptions through the payment gateway cumbersome internally, making payments was difficult and confusing for many of their clients. In addition to manually processing payments, they were having to manually reach out to customers when transactions failed and ask for updated card information. Support resources were overwhelmed and stretched thin with all the manual processes in place. Customer retention was being affected, but Legally Mine wasn’t able to get accurate, detailed insights into retention or churn. The lack of recurring billing and dunning automation combined with inaccurate or unavailable analytics was creating the same bottlenecks that plague many subscription-based businesses. They began searching for a recurring billing solution but were discouraged to find many didn’t even integrate with their payment gateway, much less provide everything required to solve their billing pains. When the company found Chargify, all those needs (and more) were immediately satisfied. Chargify became the clear option because of all the benefits provided and the competitive price. When we signed on with Chargify, we got our hand held every step of the way. Chargify has been the solution we’ve been searching for for years. By automating recurring billing and dunning and putting those functions on autopilot, the company removed a variety of bottlenecks. Support resources that had been bogged down by manual processes were immediately freed up to help customers and address real support needs. The company saw a direct impact to their bottom line by being able to move employee resources back to customer service. Chargify directly impacted our ability to provide a higher level of service to customers. We don’t have to hire as many people to worry about the accounts receivable and recurring billing, so we can spend that money on employees that will be directly helping our customers on a daily basis. A company’s ability to scale successfully also hinges on having comprehensive, accurate analytics to make more informed decisions. With Chargify as the system of record for all their subscriptions and transactions, the company has also benefited from deeper analytics and insights. “We started seeing immediate results with reporting,” said McNeff. McNeff explained Chargify analytics helped the company better understand and manage how many customers were on legacy products, how previous products performed, and how their current products are performing. As they move forward, the company is looking at expanding and diversifying their business offerings, and McNeff credits Chargify’s ability to scale with the company in the future. Chargify will also be a big component of future growth because we feel that as we scale additional products and business ventures, we already have the tool in place. Chargify enables us to start off with any kind of recurring billing that we may introduce on the right foot without any question that it’s going to be done the right way from the very beginning. For more information about Legally Mine and their affordable asset protection services visit legallymineusa.com.